Tanzania is one of the world’s megadiverse countries and its biodiversity has important economic, technological and social implications. Tanzania’s agriculture, livestock, forestry and fisheries sectors account for 65% of the country’s GDP and 80% of total employment. However, rapid population growth in both rural and urban areas, unplanned human and livestock migrations, habitat fragmentation, and overexploitation are eroding Tanzania’s environmental resources. Tanzania’s Rufiji River Basin exemplifies the tensions between growth and environment. The Basin covers an area of 177,420 square kilometers and plays a critical role in Tanzania’s development plans, particularly as they relate to food and water security. TEEB Tanzania will inform land use policies in the Rufiji River Basin. Many agriculture and water projects are planned in the basin as part of the government’s Big Results Now (BRN) Initiative. At the same time, there are competing water and land uses in the basin: activities such as afforestation of mountain grasslands, sugarcane farming, deforestation of mangroves, planned dam construction for irrigation, and pastoral livestock systems make it a challenge to sustainably manage the watershed. TEEB will examine land use trade-offs in the basin and conduct scenario analyses to inform policies for prudent basin-wide management. The highlands regions of the basin are characterized by mountainous grasslands that are being replaced with trees for timber. TEEB will use scenario analysis to assess the impact of this afforestation on ecosystem services, particularly water provisioning. In the midlands, a scenario analysis will be carried out to examine the impacts of community-based land use planning on livestock management. The lowlands of the Basin are characterized by mangrove ecosystems that are under threat from deforestation and upstream water use, both of which affect water availability and quality. A scenario analysis in this area will examine the ecosystem services that mangroves provide, and the consequent loss of these services due to deforestation. 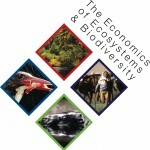 The ecosystem services assessed will vary by region. Some examples are provided below. Provision of food: changes in livestock production due to the reduction of grasslands will be assessed by comparing business as usual (afforestation) with alternate scenarios. The study will also account for cases where the business as usual scenario produces food (e.g. fruit orchards). 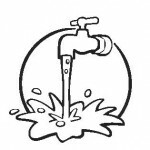 Provision of fresh water: changes in downstream water availability and quality (as a result of livestock management practices and/or the application of pesticides and fertilizers for crop cultivation) will be measured. Provisioning of food: the analysis will assess changes in fish and prawn production due to changes in habitat (such as deforestation of mangroves or changes in water quality and quantity), as well as changes in rice production. TEEB will inform the ‘Big Results Now’ plan, which is critical to development and rural poverty alleviation in Tanzania. Focus on policy recommendations and outputs that generate multiple, gender-sensitive co-benefits related to poverty alleviation and food security, consistent with ecosystem based management goals. Other engaged actors: Ministry of Natural Resources and Tourism, Ministry of Agriculture, Food Security and Cooperatives, President’s Office Planning Commission, Ministry of Livestock and Fisheries Development, Ministry of Water, Tanzania Wildlife Research Institute, Tanzania Forestry Research Institute, Ardhi University, UNDP, Tanzania Forest Services Agency, and Ministry of Land, Housing and Human Settlement Development.